I’m thinking that I need to introduce this to Tre and Henry. Tre has developed his TV heckling skills recently. 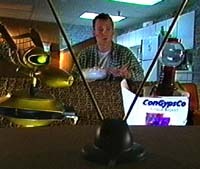 Club MST3k – Watch Streaming Episodes of Mystery Science Theater 3000! Online videos come and go. If you know of a video for a full episode, best-of, short, ororiginal movie, click the appropriate episode and ADD IT!